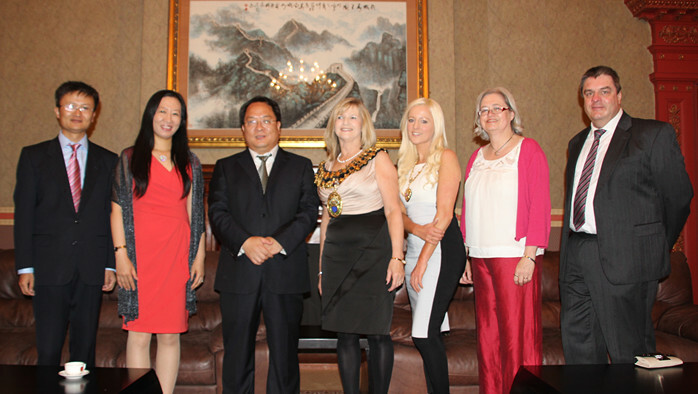 On 29th June, Consul General Pan Yundong met with the Mayor Cllr. Wendy Meikle and the Leader Cllr Sue Derbyshire of Stockport Council at his residence. Mayoress Mrs. Claire Meikle, Mr. Neil Derbyshire, Consul Zhu Yu, wife of Consul General Pan, Consul Zhao Jixian and Miss Sue Shore attended the meeting.